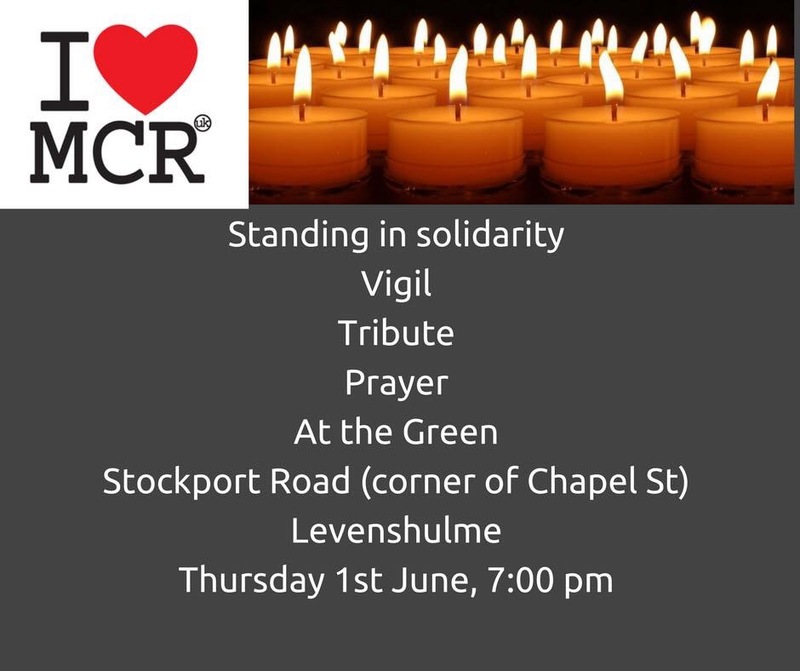 There will be a vigil on the Village Green to stand in solidarity against the Manchester Arena bombing at 19.00 on Thursday 1st June 2017. 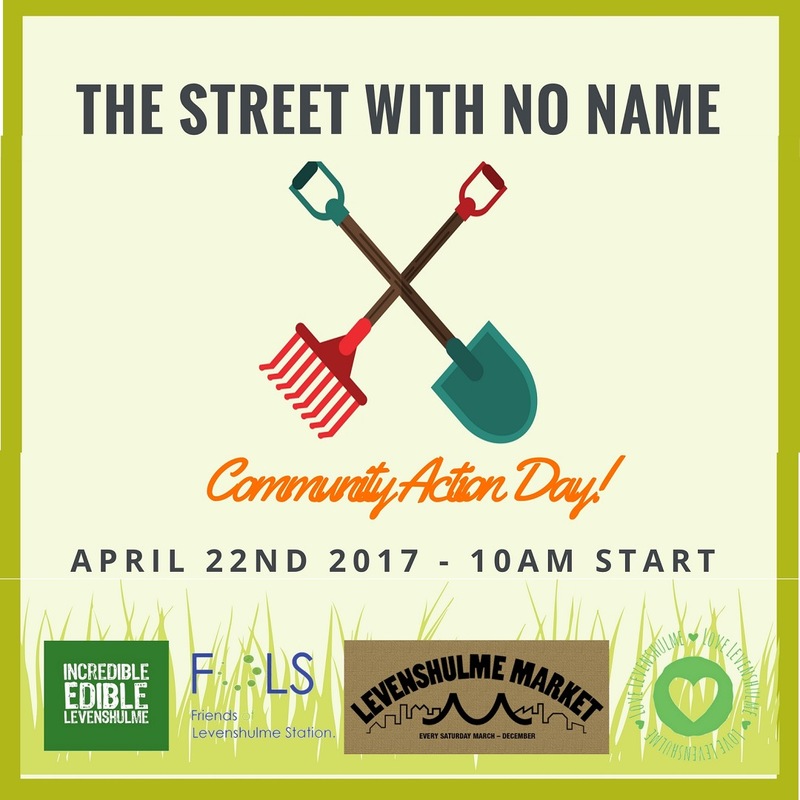 There are two Incredible Edible Levenshulme community events to let you know about this week – IEL will be working on the Village Green and A6 planters on Wednesday evening, and there’s a community action day on Saturday 22nd (with Levy Market, Friends of Levenshulme Station, Love Levenshulme and IEL) to litter pick and clear spaces for planting on the Street With No Name. Please bring gardening gloves and hand tools if possible. All equipment will be provided, plus a free hot drink for all volunteers! 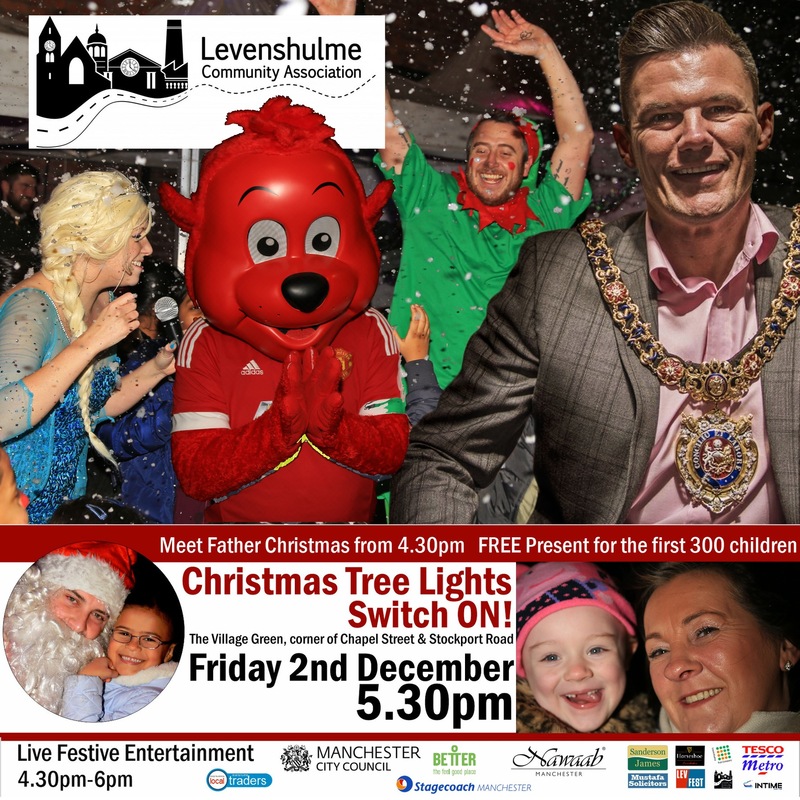 Come and get in the festive mood on Friday 2nd December at the Levenshulme Christmas Tree Lights Switch On and Party on the Village Green. One of the highlights of the year with entertainment, celebrity guests and free presents for the first 300 children. Star entertainers include the award-winning, Levenshulme based – ‘The Thomas Cliff School of Dancing’. The event starts at 16.30 with the lights switch on at 17.30. 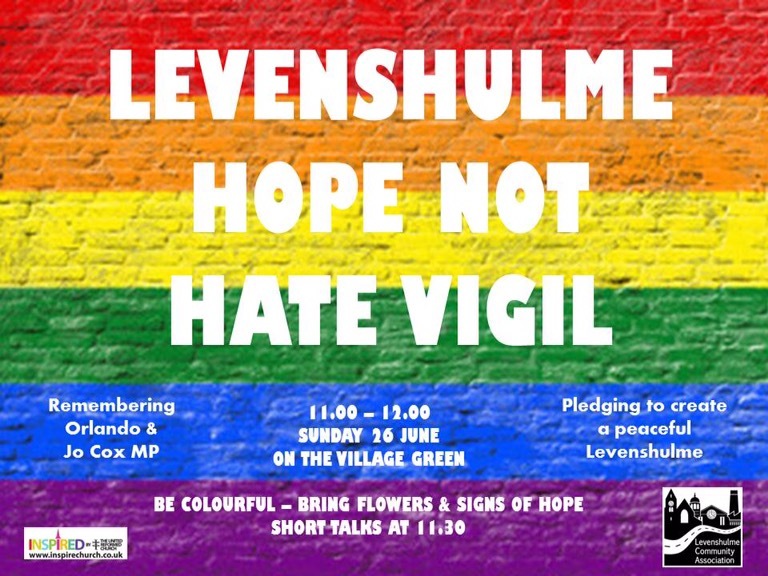 The event is organised by Levenshulme Traders’ Association in collaboration with Levenshulme Community Association and supported by local businesses, groups and Manchester City Council. We’re also looking for stewards and other helpers who will need to be there for 4.15pm at the Village Green.